A short-term personal loan is a loan that has a tenure of 12 months or less. When browsing for a quick personal loan, there are certain questions you may want to ask about short-term personal loans. What are the benefits of an instant short-term personal loan from an e-lender? What are some real life scenarios when an instant short-term personal loan can be the best remedy? If you are faced with an emergency and need quick cash to pay an emergency medical bill, then an instant short-term personal loan is the answer. If you want instant cash for your next investment portfolio and do not have ready cash, then a short-term personal loan is a good idea. But, if you are a small start-up business in need of a small loan for an immediate business expansion then a short-term business loan is a preferred option. How much fast cash do I need? Once you know your purpose, and the amount of money you need, it’s time to decide on an e-lender who can give you instant cash at the best interest rates and terms. What is the short-term personal loan eligibility? It is always a good idea to know the minimum and maximum loan amounts, and how a short-term personal loan may affect your credit score. Also, find out about your personal loan duration and documents needed for loan approvals. Do I need a credit score? If you have a bad credit score, you need to choose an alternative lender who can give you a personal loan credit without the need of a credit score. At CASHe, you do not need a credit score to avail a short-term personal loan. FinTech products such as CASHe use proprietary concepts like Social Loan Quotient (SLQ) in the absence of a credit score to decide on the loan amount. Have I linked my ADHAAR and PAN? If you haven’t yet linked your 12 digit unique identification ADHAAR and PAN (Permanent Account Number) you cannot avail an instant bank loan. CASHe simplifies the loan application process as you can do everything via the CASHe mobile app without the need for manual documentation. If you are currently in the midst of linking your ADHAAR and PAN, or haven’t linked them yet, but need a short-term personal loan, you can get a loan credit from CASHe in minutes. All you need to upload are self-attested copies of your identity and address proof documents along with the latest copy of your salary slip , bank account statement and PAN. 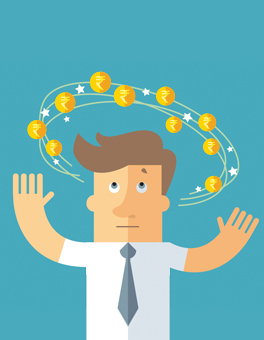 What is the true cost of a short-term personal loan? There are a lot of online personal loan EMI calculators to help you compute your total loan cost after adding loan interest charges. Find out from your lender about any late-payment charges, and whether there are pre-closure options without extra fees. A trusted e-lender like CASHe will charge a one-time processing fee only and there aren’t any further hidden costs. What is the time needed for an instant personal loan credit? The turnaround time for credit decisions and actual disbursements matter when you need fast cash. Depending upon your urgency, you are likely to endorse an electronic lender who can give you an instant credit with a few easy swipes on your smart phone. CASHe is a leading provider of instant personal loan via the CASHe app. What is the timeline for repaying short-term personal loans? You need to check with your lender about the personal loan repayment schedule. Depending upon your cash flow, a daily, weekly or monthly loan repayment scheme may or may not work for you. In that case, you need to decide on a lender who can give you flexible loan repayment options. At CASHe, you can repay your short-term personal loan in 15, 30, 60, 90, or 120 days depending upon your cash availability. How do I make the short-term loan payment? Does your lender accept cheques and online repayments? For the millennials and the Generation X who live on their smartphones, an electronic lender is the most convenient choice. Why not download the CASHe app to learn more about electronic lending TODAY? How will my lender resolve my queries? How will your questions and problems be resolved, whether online, on phone, in person or in any other way? 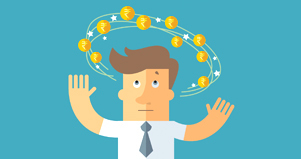 Finally, will my lender report my payments to CIBIL? If you are taking a short-term personal loan to improve a bad credit score by making a timely repayment, then you may want to consider a lender who reports back your payments to CIBIL. The Credit Information Bureau (India) Limited, or CIBIL is a well-known credit information company that records and maintains consumer credit history. If you are salaried and belong to the 18-35 millennial group in need of an instant personal loan, CASHe can help you fulfil your short-term personal finance needs NOW.